I love decorating for Christmas but there's one place that has had me in a decorating conundrum - my patio pots. I hate seeing them full of dirt and devoid of plants, but what do you put in them in the middle of winter? 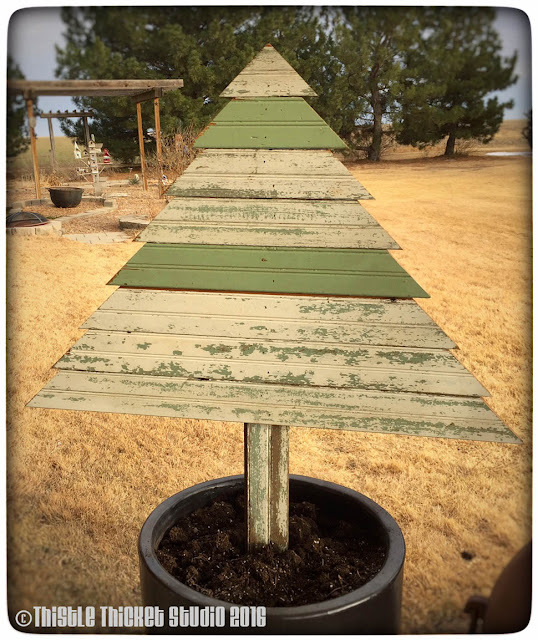 For a couple of years I have wanted to make some chippy wooden Christmas trees to 'plant' in my patio pots but never found the time - until this week. And just in time, as the snow is flying today with temps dipping into the sub-zero range....and let's not talk about the wind chill! 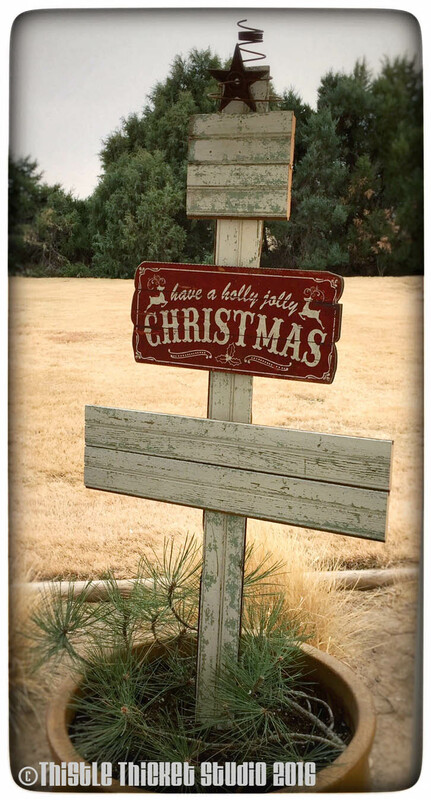 I've been picking up chippy painted bead board planks this past year with this project in mind, but I found a little gold mine of boards on a stop while bringing my mom home after her two month stint in Kansas City hospitals following her car accident. What a trooper my mom is! We had to slide those 8 foot long splintery boards between us for the ride home and she never complained. Thanks mom! These primitive trees were really easy to make. And my miter saw and nail gun made it a quick project too. I just sketched out my ideas for trees on graph paper to determine the length of boards needed. 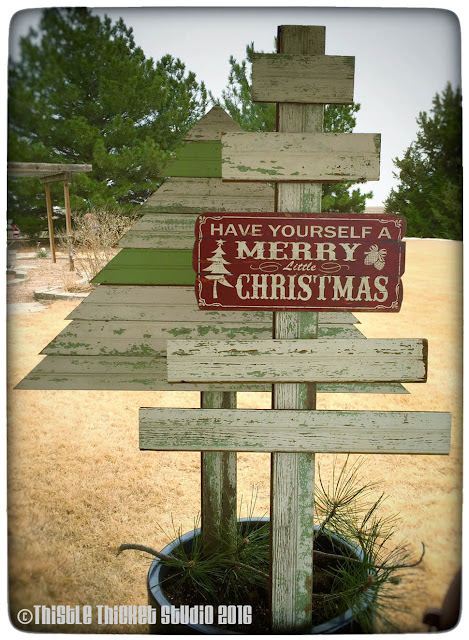 I picked up these little wooden red signs at a local gift shop this week at half off and immediately knew they'd be perfect on some trees. 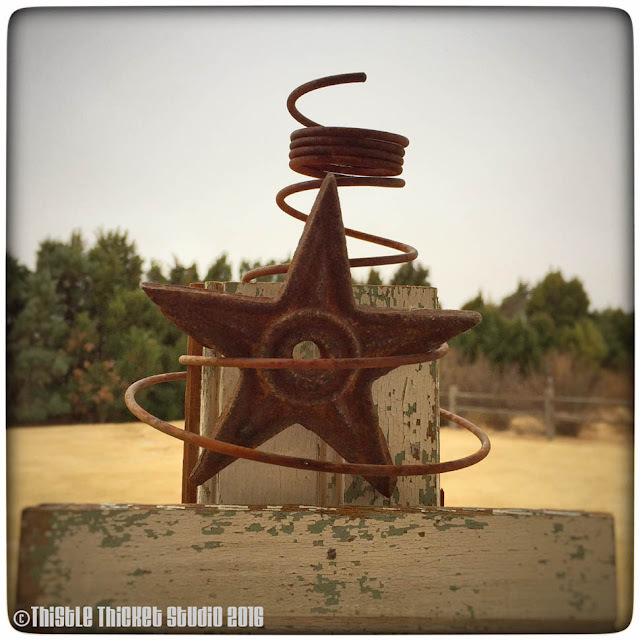 And a couple of those rusty bedsprings found their way on top of a tree along with a rusty metal star. 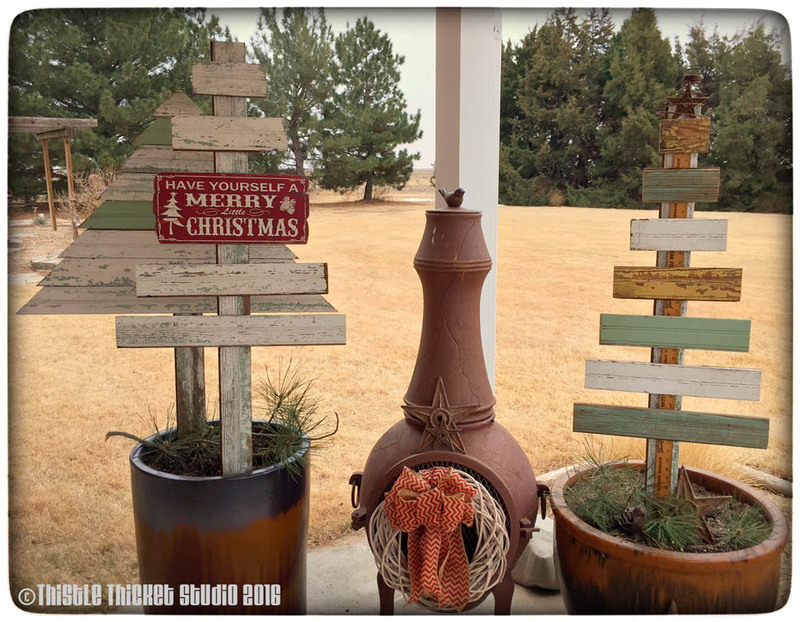 I still have a couple of more tree ideas and a little bit of bead board left, so I hope to make a couple of more trees next week. But the weather will need to warm up just a bit! What Christmas DIY decorating projects have you been working on? I am so impressed with your skills. Love the trees.